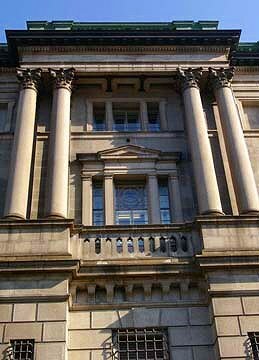 The Bank of Japan was established in 1882 as the nation’s central bank. Before the time, private chartered banks had retained the right to print money. 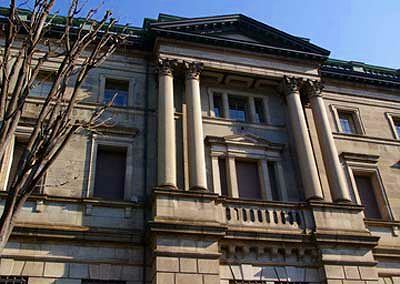 But since the establishment of the Bank of Japan, it has been given the monopoly on controlling the money currency. 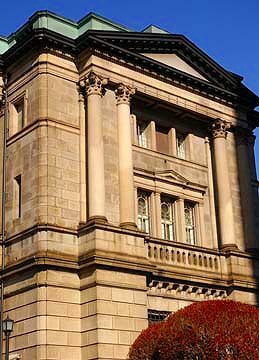 The Bank of Japan issued its first banknotes in 1885. 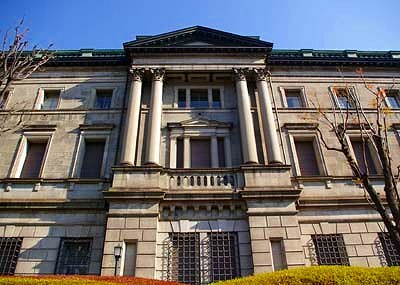 Although there is an argument about its independence from the government, the Bank of Japan has been in charge of monetary policy of Japan. The current headquarter building was built in 1895. The architect who designed it was Kingo Tatsuno, the champion of the first generation disciplined in western architecture. And this was the first authentic western styled building designed by a Japanese. 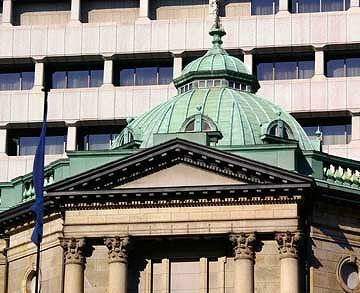 and should be the financial center of coming ages of Japan. The building is designed in neo-baroque architectural style.